Luxury accommodation in the heart of the village with the added convenience of onsite cafe and variety of retail outlets, including massage therapist. 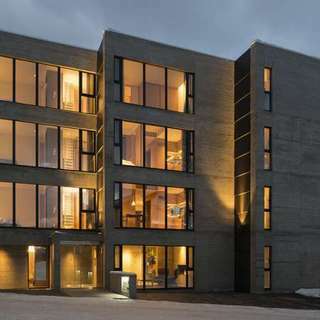 Located in a prime location of upper Hirafu village, Hirafu 188 is just minutes from the closest chairlifts, restaurants, nightlife and onsens that make your visit to Niseko unique in the skiing world. 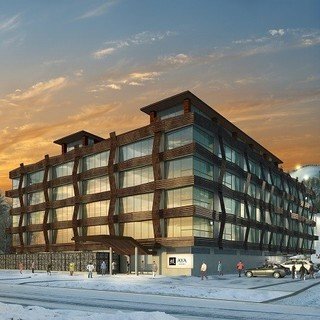 Wake up in the heart of Niseko, at Hirafu 188 you are immersed in the life and soul of Niseko from the moment you arrive. Experience the height of convenience and get your breakfast from the on-site cafe before utilising the complimentary shuttle to the chairlift between 8.00-10.00. Spend your day chasing powder, racing down groomer or achieving your first turns on the green runs, before returning via shuttle (available 15.00-17.00) to the comfort of your apartment. Soak your tired muscles in nearby onsens, get a massage on-site or simply relax in your cosy living area in front of the fireplace. Explore Niseko's impressive cullinary scene by simply stepping out the front door, prepare to be confronted by an abundance of choice. "Superb apartment location, directly above pharmacy/mini-mart. Spacious and nicely designed. Love the heated flooring. Would def. come back again!" "Could not have asked for a more spacious, stylish and comfortable apartment for my family during this winter season! We had the 3-bedroom apartment with a large kitchen, dining table, living room, and fireplace with breathtaking views of Mt Yotei! Just a few steps away from the slopes. Bonus for the lightning fast Wi-Fi!" 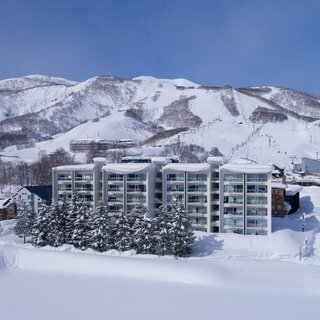 "Best accommodation in Niseko! Family of 6 and we rented a 3 bedrooms Suite 3A. Very spacious and clean interior. Fully equipped kitchen and living amenities. Loving the unique minimalist interior design. Our concierge was very helpful attending to our needs. Lastly, strategically located in the center of many shopping, restaurants, and convenience stores"
"Great location, lovely shop on the ground floor, lovely restaurants nearby.. loved it! and will stay there again"
"Family ski holiday in what we are advised is the powder snow ski resort world capital. We have not been disappointed thus far. Great weather, many options in terms of ski runs and great selection of restaurants."